Guangzhou Yousu 3D Technology Co., Ltd.
A nd our 3d printer products are welcomed all the world in Amazon. -Shortest lead time, 5 days available since order placed. -Good quality as showed in YouSu 3D printer filament advantages. Henan Suwei Electronics Technology Co., Ltd.
3. Creatbot 3d printer got patent for a kind of new headframe. 4. Creatbot 3d printer got patent for a kind of new design feeder. 6. Creatbot 3d printer got patent for a kind of new adjustable extruder. Shenzhen Calabash Brothers 3D Technology Co., Ltd. 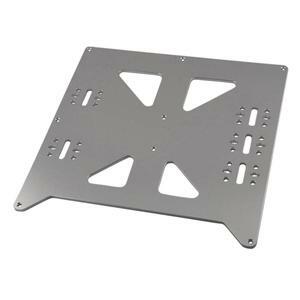 Kit comes unassembled and may include stepper motor, if you choose this option. 3. The buyer is responsible for any tax or duty charged by their country. welcome to click our website and choose the best you are keen on . 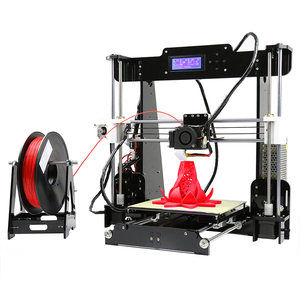 Jinxiang Create Machinery Co., Ltd.
Guangzhou Aifande Technology Co., Ltd.
Yancheng Deafun Technology Co., Ltd.
Zhejiang Qidi Technology Co., Ltd.
Alibaba.com offers 896 prusa reprap products. About 40% of these are digital printers, 9% are other electronic components, and 3% are stepper motor. A wide variety of prusa reprap options are available to you, such as free samples, paid samples. There are 897 prusa reprap suppliers, mainly located in Asia. The top supplying countries are China (Mainland), Hong Kong, and India, which supply 99%, 1%, and 1% of prusa reprap respectively. 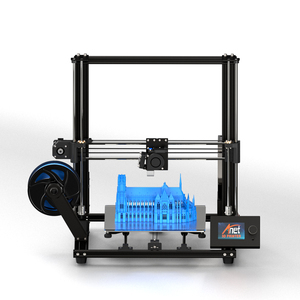 Prusa reprap products are most popular in North America, Western Europe, and South America. You can ensure product safety by selecting from certified suppliers, including 60 with ISO9001, 51 with Other, and 1 with ISO/TS16949 certification.